Are You still customizing your QMS by modifying source code? It is surprising how many companies today are solving their need to customize their Quality Management Software by modifying source code. It is understandable why a company may want to customize a software to meet its unique business and quality processes. However, software platforms have evolved so much that there shouldn't be a need to change or add code to the vendor platform. Not only does this require expensive development skills and expertise, it also means that the company can no longer receive vendor upgrades to their platforms as they have branched out with their own custom solutions. 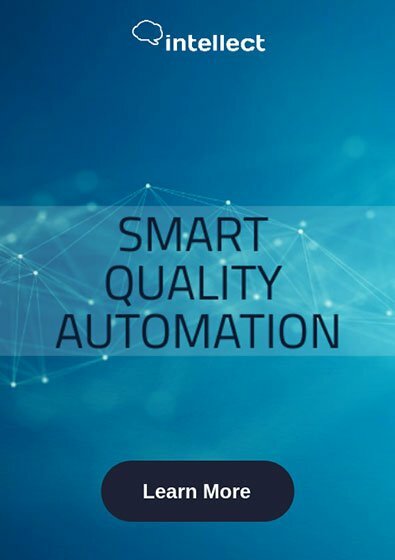 Intellect has built a full Quality Management suite on our award winning Business Process Management (BPM) platform, Intellect Accelerate, to solve this problem and provide many additional benefits. BPM platforms are designed to enable companies to automate any business process. In addition, they are designed to enable constant changes to those processes. However, the process of automating a business process on a BPM platform does not require programming. It is a drag and drop environment designed for business analysts and process owners. It enables them to control and make all the changes they want. They don’t have to rely on the vendor. Intellect Accelerate is available with an out of the box QMS solution that includes all the core modules like Nonconformance Management (NCM), Corrective and Preventive Actions (CAPA), Document Control, Change Management, Audit, Training, Supplier Management and Risk Management. But being built on a BPM platform means every one of these processes can be modified by the company to fit their unique needs and process requirements. Companies can add, remove or modify data fields, change business rules, change the workflow model, create custom reports and dashboards, modify security settings and on and on. All this can be performed quickly and through simple drag and drop, without programming or modifying source code. With Intellect Accelerate, you are not limited to just the QMS processes. The platform enables automation of any business process. This means you can expand and automate other processes like Customer Complaints and Returns, Project Management, Time Tracking, Expense Reporting, Capital Expenditures, HR onboarding, Employee Lifecycle Management, Inventory, Asset Tracking, Bug Tracking, Issue Management, Incident Reporting, Work Management and many others. Despite all the configuration changes you make to the processes or additional processes you automate, you can always upgrade to the latest release, and get the latest platform tools, enhancements and bug fixes. You are not stuck with an outdated custom solution that can no longer benefit from vendor innovations because you have modified source code. BPM is designed with the expectation that each company will configure its own unique processes and make changes to them. BPM includes a core feature which is critical for compliance and audits – workflow management. With workflow, you can model your process flows, assign roles and requirements, and easily track each process with status indicators, reminders, notification, escalations, reports and full audit trails. In addition, you can easily modify the workflow as your process changes and evolves over time. The days of customizing source code to modify quality processes to fit a company's needs are numbered. Sign up today for a demo to see how easy it is to use and modify the quality processes built on Intellect Accelerate.